This was my first week back running again in more months than I would like to think about right now:) Even though I have to take it slow, really slow as far as mileage goes. I am pretty happy with how it is all working out so far, and I'd like to share my week with ya. Monday - 1/2 Mile Run - Only mild pain for the most part, had a few odd sharp pains in the feet but I believe those were just a few area's getting used to running again. 3 Reps of 10 with the tendon strengthening exercises. Tuesday - 1 Mile Run - Again only mild pain with each left foot step. Today was a hard day to force myself to stop at one mile, because the rest of me was feeling too good. But I was good and stopped when I should have. 4 Reps of 10 with the tendon strengthening exercises. Wednesday - 1 1/2 Mile Run - Mild pain to start, moderate pain in the middle, and mild pain by the end. The pain was from work the previous night, not from the running itself. 1 Rep of 10 tendon strengthening exercises. Thursday - Rest day - But I worked, and unfortunately 10 hours of work has given me quite a sore tendon today. No reps of tendon strengthening today, didn't want to push it with the other pain. Friday - 2 Mile Run - Mild pain to start, it actually felt like the pain subsided a little each lap today as the tendon stretched out. Little sluggish running in 100 degree temp, but still loved it! Saturday - TBD - Likely will go 1-2 miles - It's all going to depend on any inflammation or pain. Sunday - Will be a rest day. So that is it! Not very impressive but truthfully it doesn't really matter, the fact is I have been able to run which is better than not! My theory that the injury will not get worse by running (since I didn't injury it running) has proven correct, and so far no amount of running has made the inflammation or tendon pain worsen (luckily). Tendon injuries can last years or life if not treated properly, and at this point I have been off for so long I'd rather just get it healed and move on with my life and the things I love to do pain free! So whatever he recommends I'll comply! I plan on being a lifelong runner, I'm not going to ruin it by ripping apart the tendon. I look forward to the day that I can take a step, or run and not have pain each time my left foot hits the ground:) I know I sound like I am in a lot of pain, and yes it hurts. But truthfully the pain has subsided extensively from a month ago, right now on a scale of 1-10 the pain is around a 2-3, whereas before it was at a steady 9 or 10. So significant progress has been made! What I have been doing therapy wise, has been working! Did you all have a great week or running? Have you ever had to take a long time off for injury? Did you find it extremely difficult to hold back and take it easy to start with too? HAPPY RUNNING ALL! FOR THOSE RACING THIS WEEKEND, GOOD LUCK! Every runner has a great story, that pushes them and drives them to do what they do. I find it fascinating to learn about others, and in return it also inspires and motivates. I know I am not the only one who feels this way. 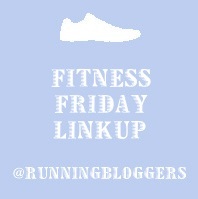 So Runners Spotlights are a weekly series I do every Thursday. This week I'd like to introduce Kelly. 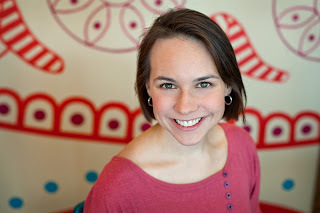 I asked Kelly several questions, to help tell part of her story and introduce you all to her. 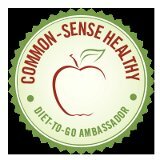 You have had an incredibly successful weight loss journey. Would you share with us a bit of your journey? Tips on how you did it, how you keep it off? I came back from a work trip to Australia and decided I’d had enough with being a bit chubby. I started tracking calories online using SparkPeople.com and lost four pounds the first week. My early success is what kept me going. 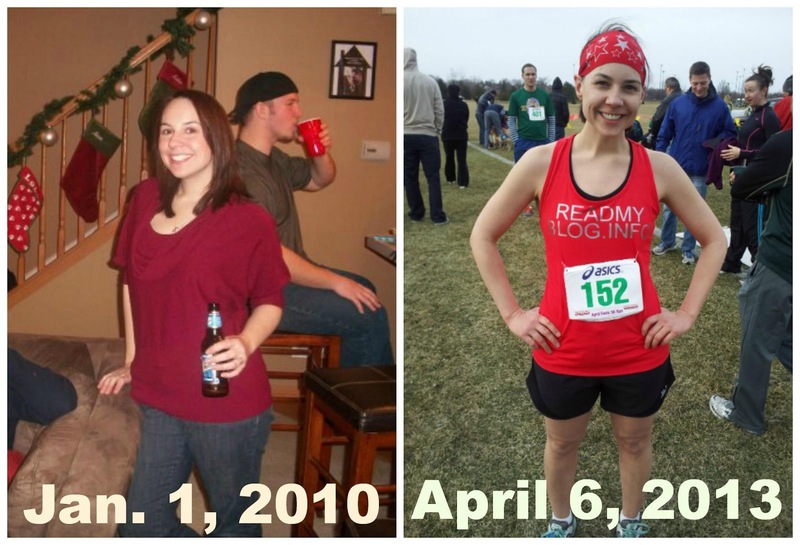 When I hit a plateau a few months later, I signed up for a 5K to give me something else to work towards. I can’t say I loved it the first race, but I did start to enjoy running a lot more because it helped me make friends and achieve something tangible. Do you have advice for someone less active, who would like to be on what they can do to find the motivation to get started? Don’t do it all at once. Start small. My first goal wasn’t to run a marathon. My first goal was to drink enough water. Truly, it was all I could manage. 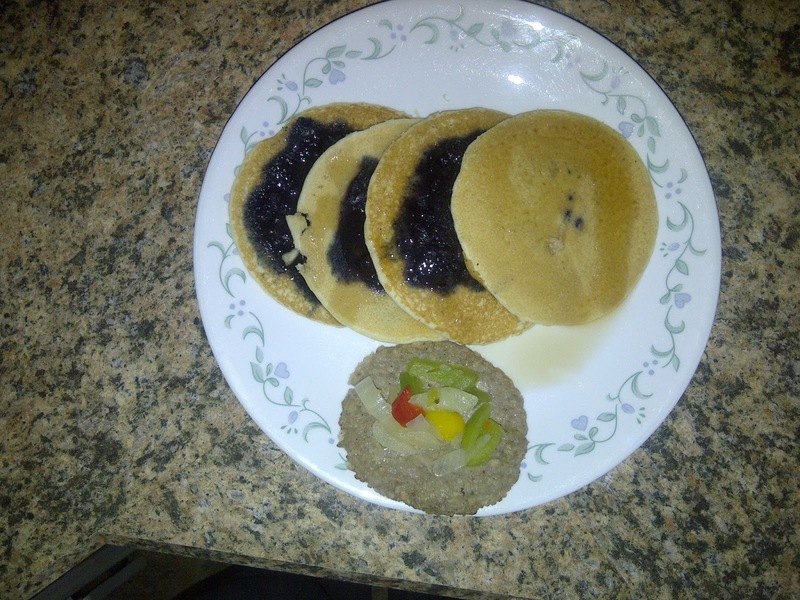 Then, I tried to improve my breakfasts and make them healthier. 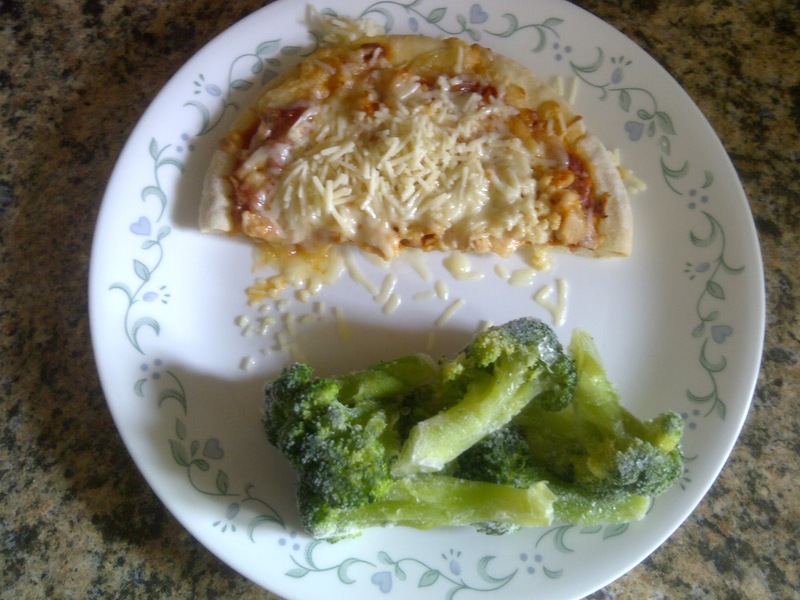 A few weeks later, I tackled making healthier dinners with enough leftover to take to work. Small changes over time that you can stick with will serve you better than quitting smoking, giving up chocolate, only eating vegetables and exercising eight hours a week all in one go. You run several distances and as well as for training. 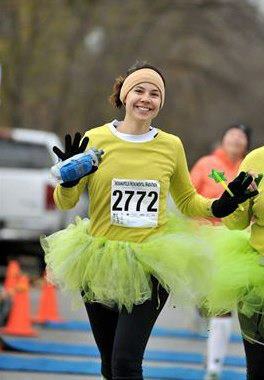 Do you have a favorite race distance to run? I really like the half marathon distance because you can challenge yourself without beating yourself up. Do you have a favorite race you have done? Why is it your favorite? 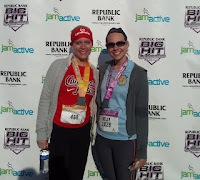 I have several soft spots in my heart for specific races, the first being the Big Hit Half Marathon. It was the first half I ever did and it was so empowering to push to my goal. 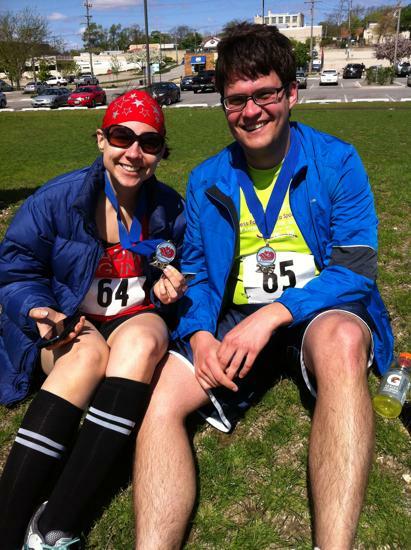 I also loved the Run River City Marathon relay that I did with some college friends. We had a wonderful weekend running down memory lane and trying an inaugural race in a town that, despite living in for several years, none of us had run in. Your training for an Ironman , what inspired you to take on such a race? When I first started losing weight, I didn’t even know what an Ironman is. It’s a triathlon with a 2.4-mile open water swim, followed by a 112-mile bike ride and a marathon, all to be completed in 17 hours or less. I saw a video of an Ironman on YouTube and started to sweat as I was watching it. The concept scared me, but it also excited me. I didn’t just want to get skinny, I wanted to get fit. And I wanted to do something epic in the process. What states have you run races in? Have you run in any in other countries? I’ve run in Wisconsin, Illinois, North Carolina, California, China, South Korea, Washington, Pennsylvania, Kentucky and the middle of the ocean on a cruise. If you could run any race in the entire world, which one would you pick and why? I want to run the Boston Marathon. It may take me years to qualify, but I will do it one day. You won your first age group race recently, tell us about it. It was so thrilling! I won my age group in a small race, but that doesn’t matter. I felt like such a badass barreling towards the finish. It was also validating to know all the time I’m putting in is doing something. I saw you have Ragnar Chicago on your race schedule. Team relays can be a lot of fun, is this your first or do you love doing team relays? Ragnar will be my second relay race. I did a marathon relay with friends in Peoria a few weeks ago, but in that scenario, we only ran once. I’m looking forward to testing my ability to run multiple legs in one day. I am very careful with my training so that I can preserve my strength and muscles so I can keep getting out there to do what I love. What inspires you or motivates you? The finish of a race. It’s sheer elation. I also love the running community and all the friends I’ve made through this sport. Training doesn’t leave much time for other hobbies, although I do enjoy reading. What are your favorite pre and post race foods? I eat the same breakfast before almost every race: A toasted carb (usually ½ a FlatOut wrap or a whole grain English muffin) topped with 2 Tablespoons Krema peanut butter, sea salt, chia seeds and a sliced banana. 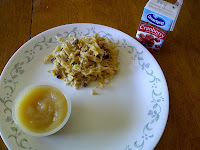 After a race, I’m happy to eat what I can stomach. After my first marathon, I only had a protein shake because my stomach was upset. A few hours later, we got pizza and frozen yogurt from the Costco food court. It was the only thing I had a taste for. I think about food throughout most of my running. 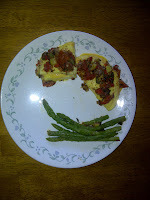 Since you are a “Culinarian”, what is your absolutely most favorite dish? If I had to eat just one type of food for the rest of my life, it would be tacos. I love all Mexican food and have an affinity for steak tacos, along with veggie fajitas and mole sauce. 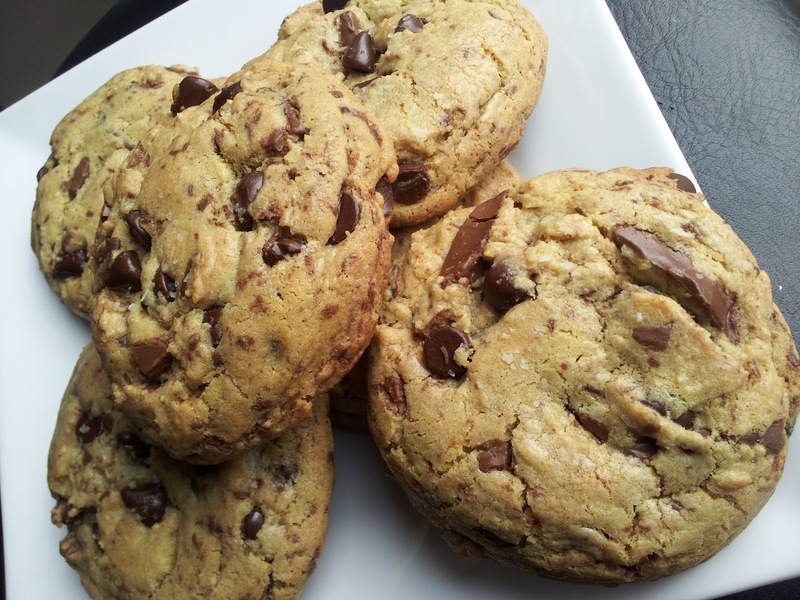 My favorite recipes involve oatmeal, chocolate or peanut butter. Or all of them. The recipe I’m known for the most is my famous chocolate chip cookie recipe. Tell us, when you go “new” blog searching. What types of things grab your interest, what types of blogs do you love to follow? 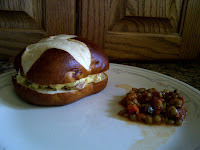 I love recipe blogs with fantastic photography. I also like following runners’ journeys because then I feel like I’m part of the ride. Tell us about your blog, what do you blog about? What can readers expect if they follow your blog? My blog is all about finding balance in life. I’m training for big-time races, but it’s not all I do. I work full time, I’m married and I have an adorable yorkie. 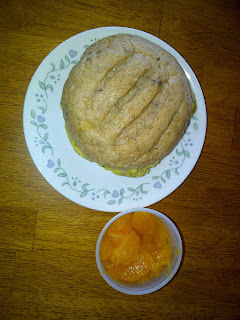 My blog is about where all these things combine because a life of balance is a life worth living. So I wasn't going to post anything about how this week was going until later on in the week, This being my first real week of running in many months as I work through the end of this injury. But I couldn't help it. I just love running, and even though I have only run now 2 days, it just feels so great and makes me want to share! I'll post a better review later in the week. But lets just say, day one went pretty good I went exactly as far as I planned and no more. Day two went even better. I went just a little farther than planned, but I had a stopping point and I forced myself to go no more than that. Pain has been mild, and only worse on the one day I worked. Lot's of icing has all the swelling back down, so tomorrow morning should shape up to be another great running day! I am using my injury as my guide. If it hurts or starts to get worse I will back off or stop. But if it stays the same or even improves, well then I am running! I didn't get this injury from running, which I why I think I can get back into it again. Even though my next Dr. Appt. with a Specialist isn't until July 1st. We'll see what he says. But I'm being smart so I am not worried! Not sure if I ever mentioned this. It was an injury I got at work. Sometimes at the library I have to push heavy carts that weigh several hundred pounds, and that stretches things. Well we all know to warm up before and stretch after exercise. But it didn't occur to me to do that at work:) Well lesson learned, guess sometimes you have to learn things the hard way. Don't get me wrong, I have been very depressed at times with this layoff of my favorite sport. But I keep trying to tell myself that things happen for a reason. Maybe there was a race I would have run, and wasn't supposed to, maybe something worse could have happened. Who knows, and likely I never will. But apparently this is the deck of cards I was dealt and not much I can do about it. I am lucky though, most people with achilles tendinitis/bursitis injuries like this don't take the time off to heal or keep running on them and create a worse or lifelong problem. The average time I have heard through the many runners I have asked is 6-8 months if you do things right. 1-3+ years if you don't let it heal. Well I may have taken forever to do it right, I quit running, but I didn't quit working until about a month ago for a few weeks to let it heal. It's made a load of difference! Anyhow my run Tuesday morning felt great. I had a few moments where I felt no pain and just for that short time I just enjoyed every step! The hardest thing about being a distance runner is having to force yourself to only run a few short laps at a time. Very hard! Because your body remembers and wants to just go, but at the same time I have to use my head and say stop! It's going to be a long recovery process, this I know. But I don't care as long as I am running again! I've gotten so out of shape from so many months off and that's just part of it. I think the hardest part will be getting my lungs back in shape again and my one knee that has some torn cartilage (which only bothers me when the muscles around it aren't strong... But I'm not worried about it, especially since I have to get back at this so slowly)!!! But oh well, that is part of the fun of running and the experience of it all! Fingers crossed the rest of the week keeps going great! Okay, so this will sound funny, but I love reading children's books:) I work a second job in a library, and well when its slow I like to pick up kids books to read. One because they are fun, but also because they are a quicker read in case a patron comes up:) Then there is the fact that I love reading them to my nieces and nephews! 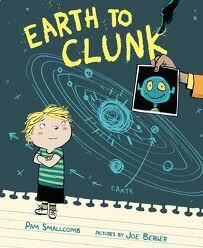 So I decided I'd post some of my favorite children's reads of this year. 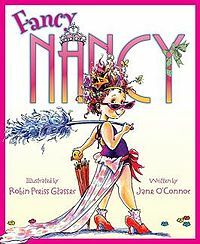 Fancy Nancy books have to be my favorite kids books out right now. They are fun, and for any age 2 on up, but mostly girls will love these. 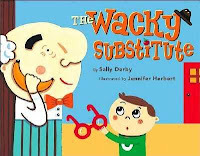 They are also fun to read to kids you'll love the Fancy Talk feel of these adorable books. Additionally there are dozens of different ones to choose from, I haven't found one yet I didn't like! The Hair of Zoe Fleefenbacher Goes to School by Laurie Halse Anderson. 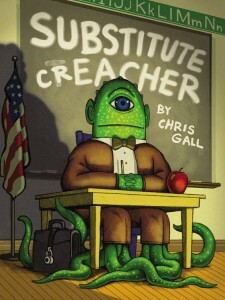 Fun read for younger school age kids! This is one of those books that I wasn't sure about when I started, but really loved that I took the time to pick it up. Very cute story, boys and girls ages 2 and up will love this one! 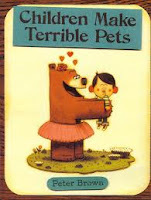 Children Make Terrible Pets is by Peter Brown. 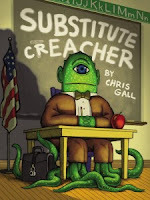 Likely younger school age kids will love this the most, but it could be fun for any age! 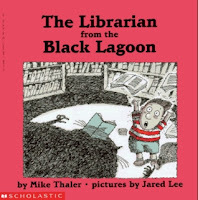 The Librarian from the Black Lagoon by Mike Thaler, another fun read that will make kids laugh! 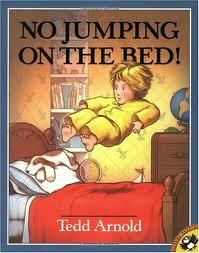 This is a great bedtime read for kids! Another fun bedtime read, No Jumping On The Bed by Tedd Arnold, just a fun cute story ages 2 and up will love! 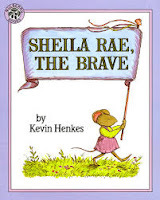 Sheila Rae, The Brave by Kevin Henkes, this is an adorable little story. 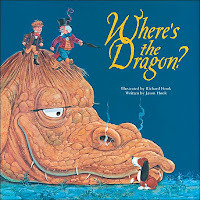 Fun bedtime or anytime read, kids ages 2 and up will love. It also has a cute meaningful message in the story, which is always good! I could give you another dozen, but this will have to be enough for now! Whether you collect kids books or just love to check out cute great books at a library to read to your kids. These are a great bunch that if you are like me at all, you'll love them! 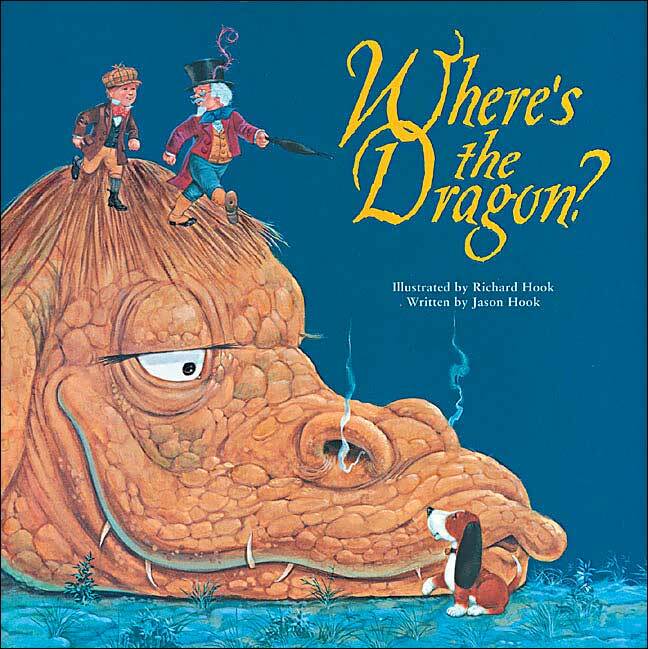 The great thing about an adult loving a kids book, is it will be even more fun for you to read them to your own kids or like me your nieces and nephews! Disclaimer: I was NOT paid or asked to review any of the books above. All opinions are my own. 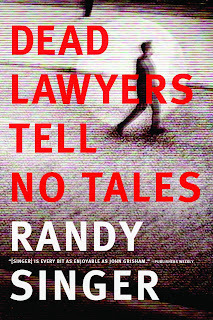 I finished reading Dead Lawyers Tell No Tales by Randy Singer. I'm so glad I chose this novel, it's a fast paced legal thriller with surprises at each turn of events! With perfectly crafted characters, Dead Lawyers Tell No Tales kept me entertained and guessing right from the start until I turned the last pages! "Landon Reed is an ex-quarterback convicted of organizing a point-shaving scheme. In prison, he finds forgiveness and faith. 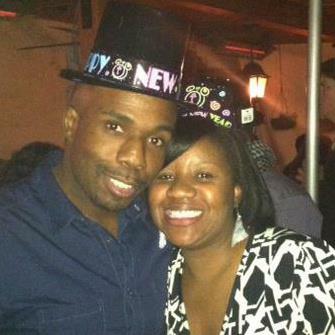 After prison, he earns a law degree and longs for an opportunity to prove his loyalty and worth. 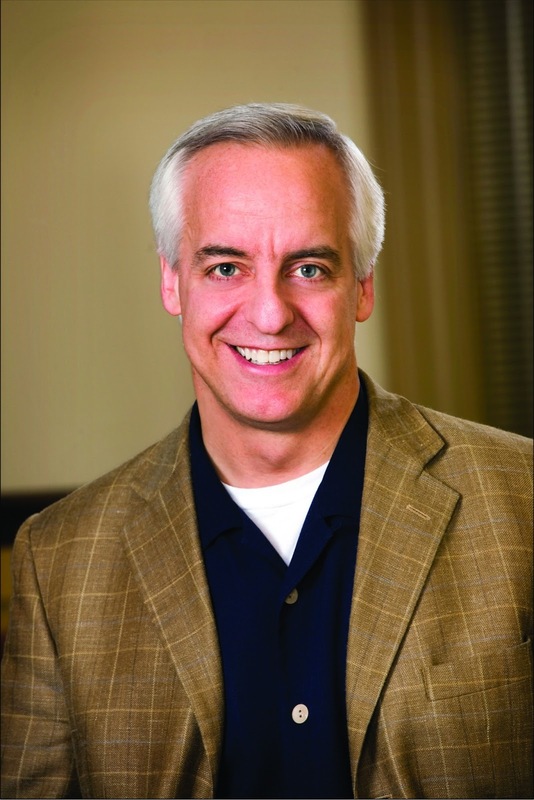 Harry McNaughten is one of the founding partners of McNaughten and Clay - and the only attorney willing to take a chance employing an ex-con turned lawyer. Though Landon initially questions Harry's ethics and methods, the crusty old lawyer wins Landon's respect with his brilliant legal mind and knack for winning. But as the two lawyers prepare for a high-profile murder case, Harry is gunned down in what appears to be a random mugging. Weeks later, the firm's leased jet explodes over Chesapeake Bay, and two more McNaughten and Clay lawyers are eulogized. Somebody had a vendetta against the firm, and Landon, his family, and his sole remaining partner are the final targets. As Landon struggles to keep the firm together, the can't help but wonder: Is the plot related to a shady case from McNaughten and Clay's past, or to the murder trial he's neck-deep in now? And will he survive long enough to find out?" I loved this book and the characters, and yes I said loved! 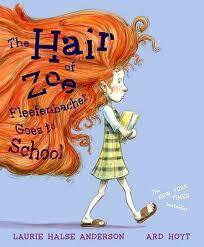 In my opinion this novel was brilliantly written. Because I absolutely dislike reviews that contain spoilers, I will not ruin any details in the plot itself for you. But I have to say, rarely do I read a book that I can't guess the ending by the time I get to the middle or even by three fourths into it! In fact I thought I had this one pinned, and was pretty sure of myself having thought I had it all figured out. Even though I found myself several times throughout this novel, re-thinking my theories and changing my mind. 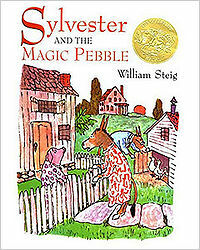 This book had so many turns and twist of events. That when I finished I just said to myself. Wow, I didn't see that coming! Being able to write a novel so intricately so a reader is still hooked and guessing throughout is a rare skill and Randy Singer has it! Additionally, the story-line is well researched and realistic as are the characters. Anyone who loves football, criminal law or just loves to bury them self in a great book full of fast paced suspense will not be disappointed! I found Dead Lawyers Tell No Tales to be a clean read. 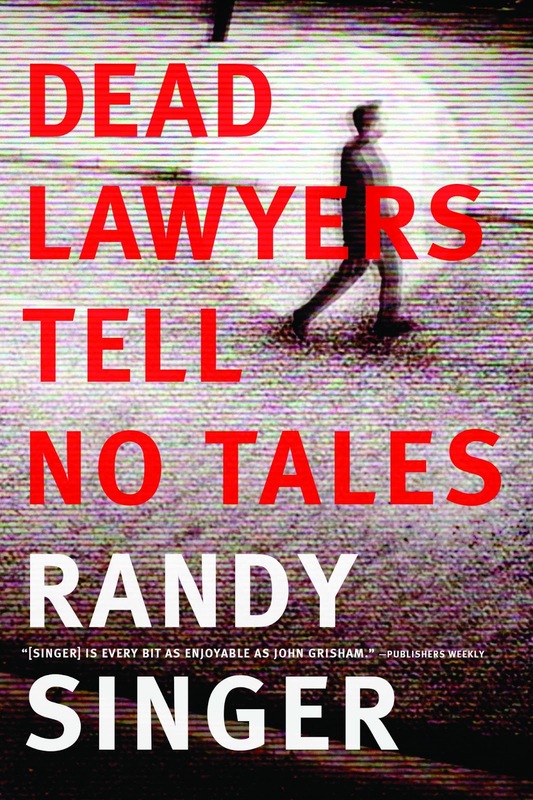 Randy Singer is an author who understands how to write a thriller without having to insert excessive amounts of foul language to get his point across. If your child picked this up you wouldn't have any problem with them reading it as well. If you are someone who is like me and appreciates high quality intriguing suspense, you'll want to pick this one up! Like I said above, it won't disappoint! Want to read the first chapter of Dead Lawyers Tell No Tales? Disclaimer: Tyndale House Publishers provided me with a complimentary copy of this book for my review. All opinions expressed are my own. I was not required to write a positive review. So after the last 4 weeks on crutches. This past week I got back to walking again. A little more each day, strengthening my foot and ankle with additional exercises and stretches. My bruised inner foot (the most recent bad luck injury) is feeling at about 95% better. I am confident this part is over and thankfully I can move on from that pain. Tendinitis in the Achilles area feels 90% healed. I rarely notice it, and only when I work on stretching it again (as is needed for the physical therapy portion of the recovery.) Still need to be careful with it though! Bursitis - Well this has been a little more of the painful side this week. I had been able to keep the pain around medium until Wednesday. When I had a little set back, my ankle was so swollen I had literally a golf ball size bump sticking out of the side of my ankle. It took a lot of Naproxin and off and on icing last night and Thursday and I have been able to get the swelling back down and pain back to a medium level. I did call the Dr again, as I am sick and tired of this all and I am now willing to take the risk and get the steroid injection as well as some additional anti-inflammatory meds in the injection. I had originally not wanted to go this route, but I got pretty frustrated Wednesday night and decided it's worth the risks and complications at this point! However, even after over 12 hours of working on my feet Thursday the pain stayed minimal, so I am still hopeful the the flare up was possibly a one time deal??? Who knows at this point! I've pretty much given up on assuming anything about this foot/ankle injury situation. However, I am keeping my appointment in two weeks. But I am going to continue with my own original plans with recovery. With that said, my ankle and foot are feeling stronger by the day. Next week, the attempt to run again! I can't be stupid about this. So if I run and things don't get worse then I will keep running and building that up slowly again. If I do have pain, or additional swelling I will have to hold off on running until after the next Dr. Appt:( It's just not worth pushing it! So that's the plan! Even though I say I am going to start running next week, let me just say it will be extremely gradual. Even though I know it will be hard to hold back, it is a must to avoid re-injury! So my plan is 1/2 mile to 1 mile max per run.. I know that is not much, but I figure a little is better than none! Aside from Doctors, I have also spoke to many runners both locally and online who have had tendinitis and bursitis issues in a foot. Some had it for weeks, others months, and some even several years. I took all their advice and situations to heart. The tips and suggestions I am taking and proceeding with that I feel fit and will help best in my own recovery. * Kinesio Tape - Thanks to a You Tube Videos anyone can be an expert at taping:) I ordered some (pink of course) that will get here this weekend. * Compression Socks - These just make sense for blood flow issues and seem to be a favorite trend by all injured runners with situations similar to my own. 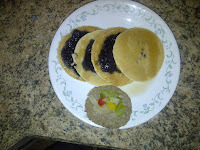 * Fish Oil - Omega 3's - I read about this on a fellow blogger blog (Thanks Marathon Mom). I also did a little research of my own on it, and I have been taking this to the recommended dosage each day for almost two weeks now. * Naproxin (NSAIDS) - Okay, so I tried to not take this for weeks. But it's been the only thing keeping the inflammation down, and when I told the doctor I wasn't taking it. He put me right back on it. * Heel lifts - Shoe inserts, just a 1/4" is needed. I had a tip from a few runners that they shrink down with pressure so to buy the 3/4" ones so that when they receive pressure I will get the 1/4" recommended lift needed. With these I plan on only using them for a short while and then gradually going back off them. Now, I did receive several other tips and ideas from people, and I am sure they are all great and work in their own way. But like a quote I heard on our local news the other day. "We can do anything, but we can't do everything." Now the meaning is totally different, but it's been in my mind all week and I have been reminding myself of it in everything I do:) So for recovery I know I could do anything, but not everything is needed. So I'm picking the top idea's that I believe will work best for me as well as the doctor recommendations and recovery plans! So that's it! I am hopeful (I have to be), but if things don't go well I won't lie I will be more than disappointed! I still believe if I work at this correctly and can get back into it in the next few weeks. I should be able to gradually build the mileage up and get in a few later fall marathons this year. So guess I get to see how next week goes:) Wish me luck! Every runner has a story, that pushes them and drives them to do what they do. I find it fascinating to learn about others, and in return it also inspires and motivates. I know I am not the only one who feels this way. Which is why, runners Spotlights are a weekly series on Thursdays. This week I'd like to introduce Courtney. I asked Courtney several questions, to help tell part of her story and introduce you all to her. Looks like you run everything from 5k to half marathon. Do you have a favorite distance? I just did 2 10k's in a row and really enjoyed that. It’s over in about an hour and very easy to push yourself! 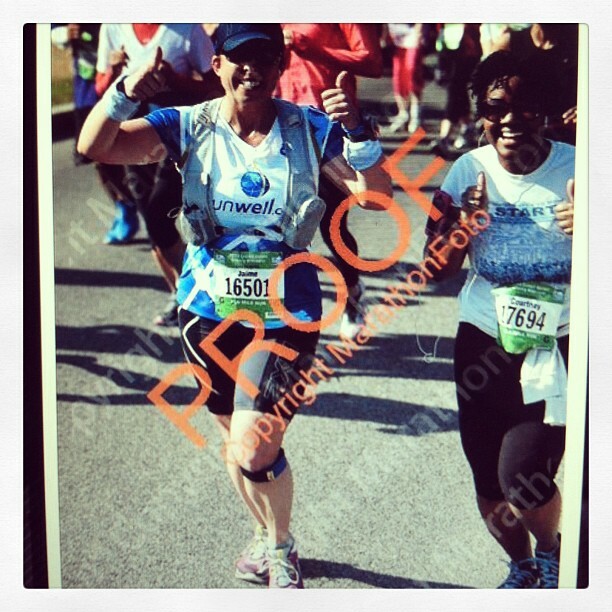 I generally enjoy races but I have to say that my favorite recent experience was the Cherry Blossom 10 Miler. I was supposed to run with a friend but ending up having to go it alone. After a mile in, I noticed another runner and I were keeping about the same pace. After briefly losing her at the first water stop, we found each other and ran miles 2-10 as a unit. It was awesome! Jaime (my new running better) and I didn’t talk much except to confer about the water stops, which was perfect because I’m not a talker when I run. We took pictures and exchanged info after the race and are now facebook buddies. It was so fun to meet a buddy during a race and conquer it together! I’ve run races in Alabama, Virginia and DC. New York Marathon & a Run Disney race. NYC because it’s supposed to be amazing and I love that city. Disney because Disneyworld is the happiest place on Earth and I can’t imagine anything more fun than racing through Disney parks! Per your blog you love Disney, have you run any of the Disney races yet? Any plans too? If you do, will you be dressing up as a character? I noticed you are a lawyer, I would imagine at times it can be quite a stressful job, do you use running as your stress reliever? I actually work for a nonprofit and have a very fulfilling and enjoyable job. 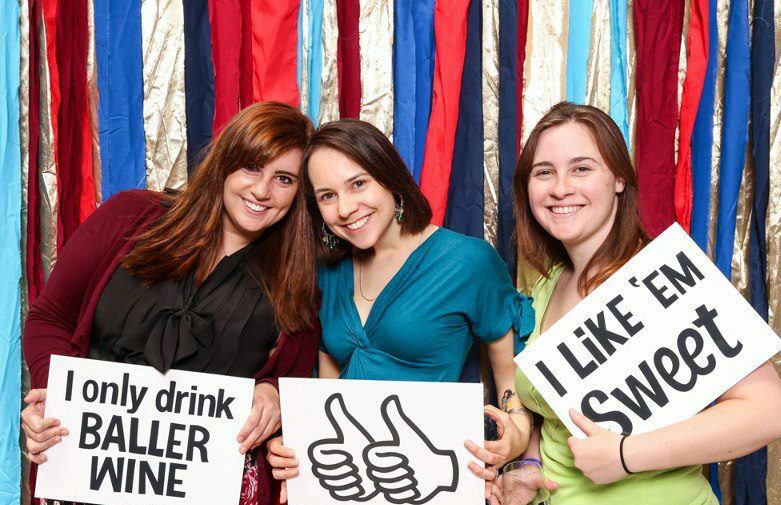 I’m a rare DC lawyer who loves her job and therefore loves her life! Saw you were a food lover, what is your favorite pre and post race foods? Absolutely. I love running and the running community and hope to be blessed to do this for the rest of my life. changer. So seeing moms (and dads) out there doing it is awesome and super inspiring. I’m also motivated by vanity (let’s be real here J) – I like being fit and strong. Noticed you had a fabulous 30 by 30 list! Hope you’ve done or have almost gotten them all in. The one that grabbed my attention was your skydiving one (because I loved doing this). Tell us, have you gone yet? How was it? Or when is it planned for? I’ve done the vast majority of the items on my list but skydiving hasn’t happened yet. But I still definitely plan on doing it! The list was a fun idea because it made me think about a variety of goals and got me used to the idea of declaring my goals publicly (or at least to friends). Because I believe life should always have great fun to do lists. Tell us, do you still have, or have any new goals or “must do’s” on your current to do list? Well…I’ve actually just decided that I’m crazy enough to try and train for a marathon. I’m leaning towards pulling the trigger on the Richmond Marathon, which is in November. That’s a pretty big one – so I’ll be focusing on that goal for the next few months. I love to play recreational football and absolutely love going out dancing with girlfriends! 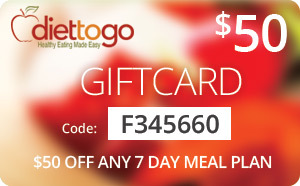 I also enjoy cooking and like to try new restaurants. You love Karaoke, what are your favorite songs? Have to ask, if we saw you out running, would we catch you belting out the tunes as you pound the pavement? NO WAY! I can barely talk when I run, and can’t imagine singing while running, haha! I look for bloggers that are relatable and whom blog about things I’m interested in (which, these days, is mostly running and food!) If someone has run a race I’m considering, that’s a draw. Also, if they are from DC, I’ll check them out. I read food blogs, running blogs and occasionally travel blogs.